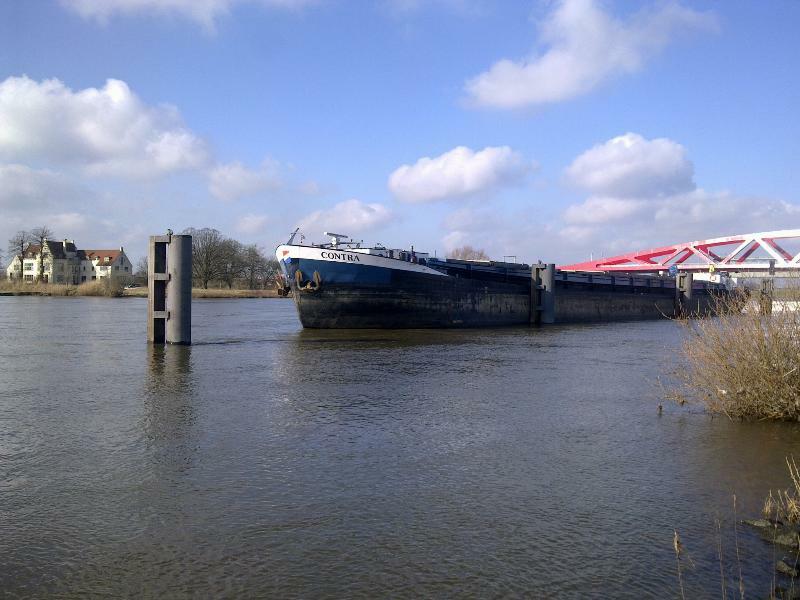 The 80-meter long barge Contra allided with a railroad bridge spanning the Ijssel River near Zwolle, Netherlands. The Contra suffered significant damage including loosing the flight deck of the wheelhouse. The roof the wheelhouse was left hanging from the bridge. Traffic was stopped on the railroad to inspect the bridge for damage. 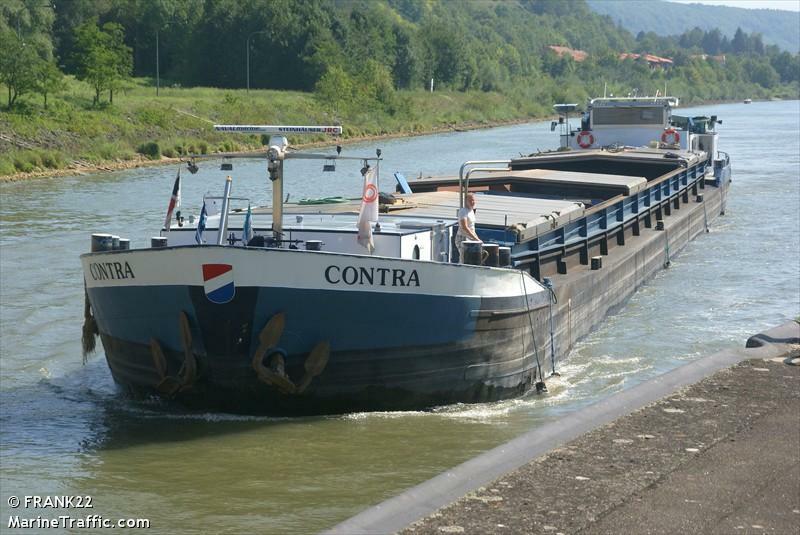 The Contra had left Meppel heading for Deventer. Reports state the captain of the Contra did not know the bridge was too low to pass under. He stated that the bridge was obscured by the newer bridge right next to the struck bridge.